Bill Hudgins called me yesterday and assured me that, despite the early spring, it is going to be a good year. I hope he's right. One thing I know is that I am looking forward to seeing his garden again. I may have OD'd on the fall color of his Japanese maples (I couldn't help it; I can't tell you how many I did not post, but wanted to), but I am just as excited about the trees as they unfurl in spring. The colors are spectacular, ranging from deep burgundy to light salmon. Bill's garden is going to be on the Atlanta Botanical Garden's Gardens for Connoisseurs tour, which is held every Mother's Day weekend. But, Bill said I should come in a couple of weeks. He always has plenty of spring bulbs, and maybe I can get a series of shots that will show the garden as the season progresses. Knowing how I love French, English and Italian gardens, Bill sort of apologized for the fact that his garden is now taking on a more Japanese influence. He's been to Japan several times lately, and he's adding more Asian plants, like farfugiums (they've changed the botanical name; I liked ligularia better). But, no matter what Bill does, it will be wonderful. He has such an eye for blending different textures, something I think is a real talent. 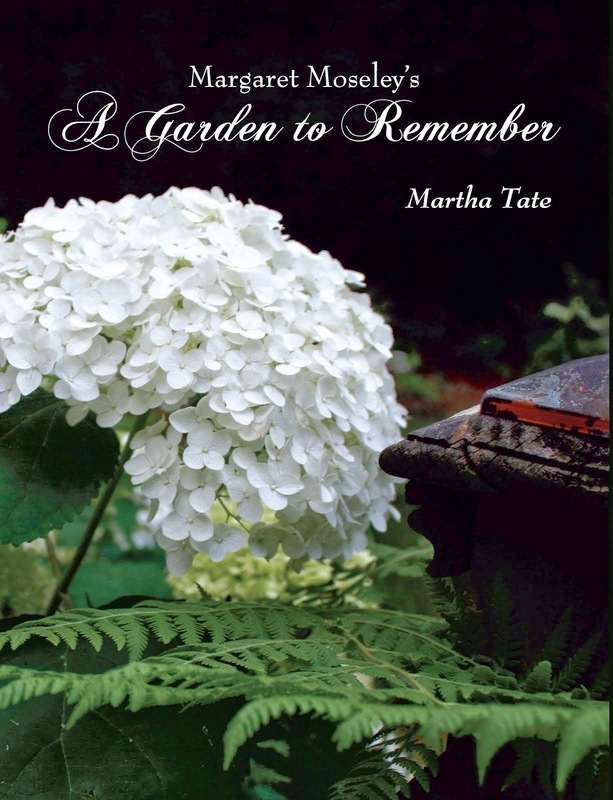 I like the way he knows the right plants to place next to gray boulders or how he prunes one plant, but leaves the next one in its natural form. He says he's opened up some views and has been more conscious of his setting - a woodland with natural streams. My heart is pounding in anticipation, and I will give us all a sneak peek at what we can expect on Mother's Day weekend. I know of at least two other gardens I love that are going to be on the tour, as well. If you live within striking distance of Atlanta, I think it's well worth an excursion. If you're going to your mother's on Sunday, there is a full day of garden touring on Saturday. The above photograph was taken at least seven years ago, possibly in April or May. Even then, you got an idea of how Bill blends different leaf colors and textures. I love the light green of the Ostrich fern against the Japanese maple that is still red, but looks as if it is about to take on its summer color. Many thanks to Suzanne Boesl who just happened to e-mail me yesterday to say that the episode of A Gardener's Diary featuring Bill Hudgins (it's called Mad About Maples) is currently playing on Hulu.com. I just finished watching it, and my heart is racing, yet again. Go to Hulu.com and put in A Gardener's Diary and Bill Hudgins or Mad About Maples. You'll get to see one beautiful garden. 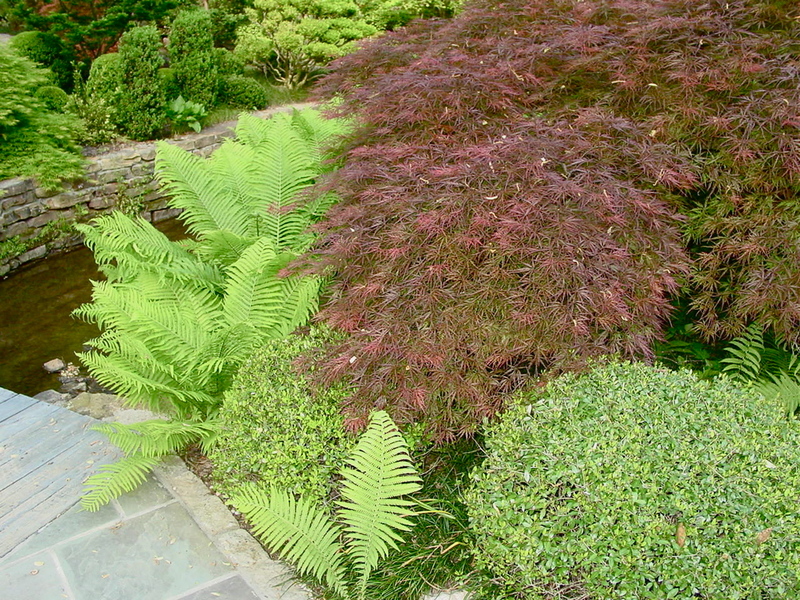 I remember Bill Hudgins fantastic garden and remember especially his detail in planting rows of needlepoint like edgings of mini hostas around a raised bed, his ancient urns and tall obelisks and his row of potted spiral trunked maples. Thanks for the photo and the reminder. Every Tuseday, I post a link to the newest episode of A Gardener's Diary on my Flea Market Gardening FB page for my followers to enjoy. My Mom taught me many names of plants, but when I started wacthing your program I was exposed to Erica's joy of plant names and have enjoyed them and learned so much since. I hope Hulu will collect more than 5 programs at a time someday.